Keen-eyed Madison filmgoers will recognize in this week's Academy Award nominations a few movies that have really stuck out in the local screening lineup. The Oscars' omissions often tend to overshadow the commendations, particularly in an era where cinephiles feverishly live-tweet the morning announcements. And of course it was most disheartening to see Boots Riley's uninhibited social satire Sorry To Bother You ignored across the board, the absence of Alice Rohrwacher's wondrous Happy As Lazzaro in the Foreign Language Film category, Debra Granik's riveting Leave No Trace getting snubbed for Best Adapted Screenplay, and the utter lack of female directors up for Directing and Best Picture. However, it's also worth noting where deserved acclaim has landed. In no other category is the Academy scouting the most innovative and enriching work than in Best Documentary Feature, especially in the past five years with The Act Of Killing (2014) and O.J. : Made In America (2017), as prime examples. Of this year's five nominations, four of them received fairly well-publicized openings in Madison this past year. Bing Liu's Minding The Gap premiered to an especially warm reception (twice) at the 2018 Wisconsin Film Festival, and the director and subject Keire Johnson were even in tow. Shot just down the road in Rockford, Illinois, this courageous and moving doc entangles Liu's own teen skating videos with the evolving relationships of his group of friends and family, all while breaking the seemingly inescapable cycles of toxic masculinity. It ended up climbing to the top of my favorites of 2018. Not to be ignored in that very category are Betsy West and Julie Cohen's RBG, about (Notorious) Justice Ginsburg, another favorite of Wisconsin Film Festival audiences last April, as it played to a full Union Theater. Jimmy Chin and Elizabeth Chai Vasarhelyi's mountain-climbing adventure Free Solo also enjoyed an extended stay at Market Square. The avant-garde, impressionistic snapshot of west-central Alabama in Hale County This Morning This Evening, which served as the December finale to MMoCA's Spotlight Cinema, is an especially bold choice for an Academy that has a tendency to lean towards hailing a film's popularity over its artistic integrity. Perhaps they'd do well to allocate the same ambition in these docs to the major categories. Yet, speaking of the most prestigious field up for Best Picture, we saw the momentous addition of Ryan Coogler's Black Panther amidst a seemingly scattershot series of films—from the highs of Yorgos Lanthimos' subversive 18th century period piece, The Favourite, and Alfonso Cuarón's tribute to his 1970s Mexico City home in Roma to the problematic dregs of Bryan Singer's Queen biopic, Bohemian Rhapsody. Black Panther secured a spot among the eight (down one from a year ago) and became the first superhero fantasy to earn that accolade. For a film that unapologetically honors black people's culture and history, and employs it with a self-assured social consciousness, it's absolutely worth singling out. Its ultimate messages of transparency and harmonious global diplomacy are surprisingly resonant and buoyant during the continuing cruelty of the Trump era. All in all, I'd call the slate of nominations…incrementally uplifting. You may or may not place much value on the Oscars, but the noms are a reminder that Madison's art-house audiences do get to catch some important work. Photo by Jon Hain Photography. Madison venue Art In has run into confusion over its city-mandated occupancy limit. Producer and DJ Ilana Bryne prepares to release a new EP and will play our February 9 event at Communication. 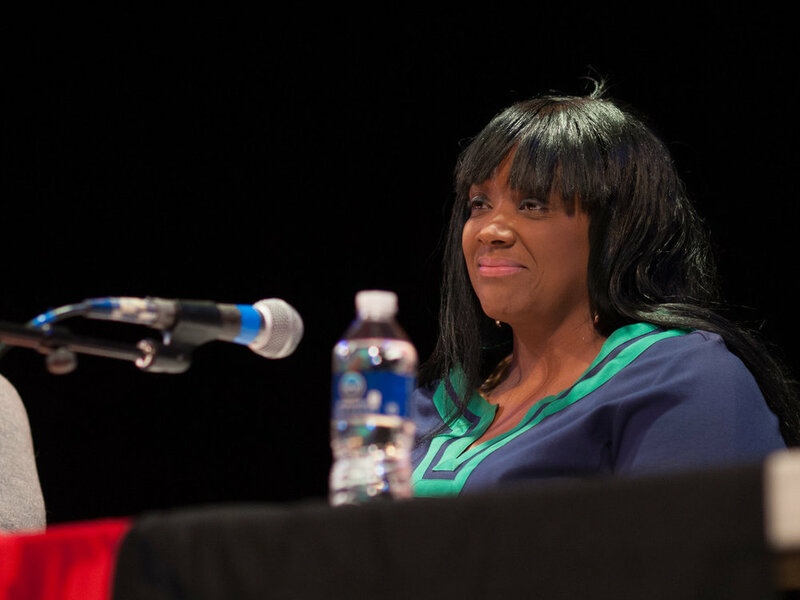 Hear the full audio of last week's mayoral forum on the arts and read Scott Gordon's thoughts on what the candidates said. Elsewhere on the Madison internet: Wisconsin Life revisits the day Joni Mitchell went ice skating on Lake Mendota. WORT remembers the late poet Mary Oliver. The Talkhouse features a new compilation celebrating Smart Studios. New show announcements from The Mountain Goats and Old Time Relijun. This week's Madison calendar: Neil Young at Overture Hall. Jazz vocalist Betsy Ezell celebrates her debut album at the North Street Cabaret. Davu Seru and Jamal R. Moore collaborate at Arts + Literature Laboratory. Noname plays the Sylvee. And more. Jan 28 Terran cracks open a psychedelic vortex with "Dead Leaves On A Cool Breeze"